Interiors of Edmonds provides custom furniture reupholstery services. We can also provide wood refinishing services. [break] [break]Please use the form below to tell us about the item you would like reupholstered. We will use this information to estimate the amount of fabric and labor required to reupholster your item. [break][break]For an accurate estimate, please complete the form below with as much detail as possible and provide us with a pictures of your item too. One form per item please. Please contact us with any questions (425) 774-6222. What type of furniture do you want to reupholster? Use the pictures on the right as a guide. 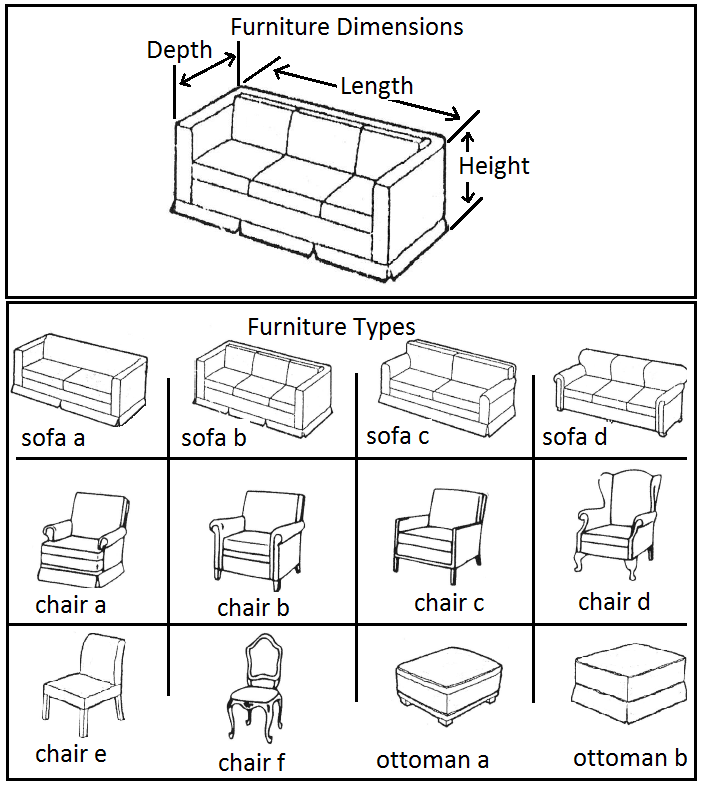 If you don't see your specific type of furniture, just give us a brief description.